August Specials in Eureka Springs! Summer may be coming to an end, but that doesn’t mean the excitement will stop in Eureka Springs. August is a great month to get in on some fabulous end-of-summer sales around Eureka Springs, Arkansas. Stay during the weekdays, 8/14-9/1, and Save on your stay! 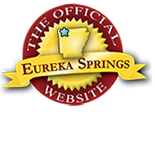 Getaway to Eureka Springs for 2 nights during the Annual Bluegrass Weekend Festival, August 18th-20th, in ANY Room and SAVE $20 per night. To add Thursday please call for availability. 877-643-4972. Stay 1 night at regular rate and get 2 FREE Tickets to Intrigue Theater, Best Illusion Show! Valid Thursday, August 18th only. Don’t miss the annual VW parade in Eureka Springs Downtown! Drive a Bug? Stay with us and SAVE $20 on either the 26th, 27th or 28th. Valid August 26th – 28th. This entry was posted on August 5, 2016 by service424 in Attractions, Basin Park Hotel, Crescent Hotel, Eureka Springs Lodging, Family Fun, Festivals, Lodging Specials, Things to Do and tagged Crescent Hotel, Eureka Springs, Intrigue Theater, Lodging, sales, specials, VW weekend.